As you may know, every December I try to write something up as a sort of tribute to those who have gone on before us in the preceding year... it is a grim task that has seemed to grow more difficult as time marches on. 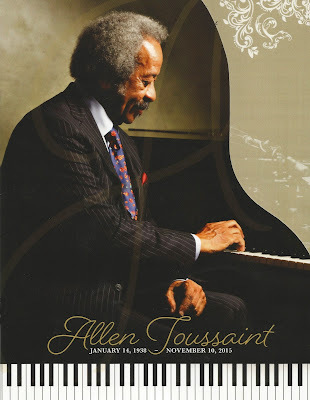 The sudden passing of Allen Toussaint in November took us all by surprise, and broke the heart of the Crescent City. As New Orleans Mayor Mitch Landrieu said at Allen's Memorial Service, "He was as much of a New Orleans icon as St. Louis Cathedral or The Superdome," and now, in an instant, he was gone. One of the very few people who deserved to be called a musical genius, I don't think we'll see the likes of him again in our lifetime. New Orleans seemed to have been hit particularly hard in 2015, with the loss of people like Harold Battiste, Big Chief Bo Dollis, Smokey Johnson, Frankie Ford, Trumpet Black, Charles Otis, Irving Smith and, on November 21st, blue-eyed soul brother Skip Easterling. 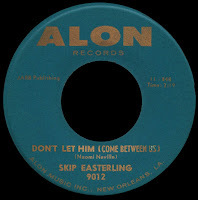 Skip had come up across the lake in Slidell singing with Eddie Lang and, after a couple of singles on Reno and Ron that went nowhere, was signed by Joe Banashak in 1963 and handed off to Toussaint for his new ALON label. 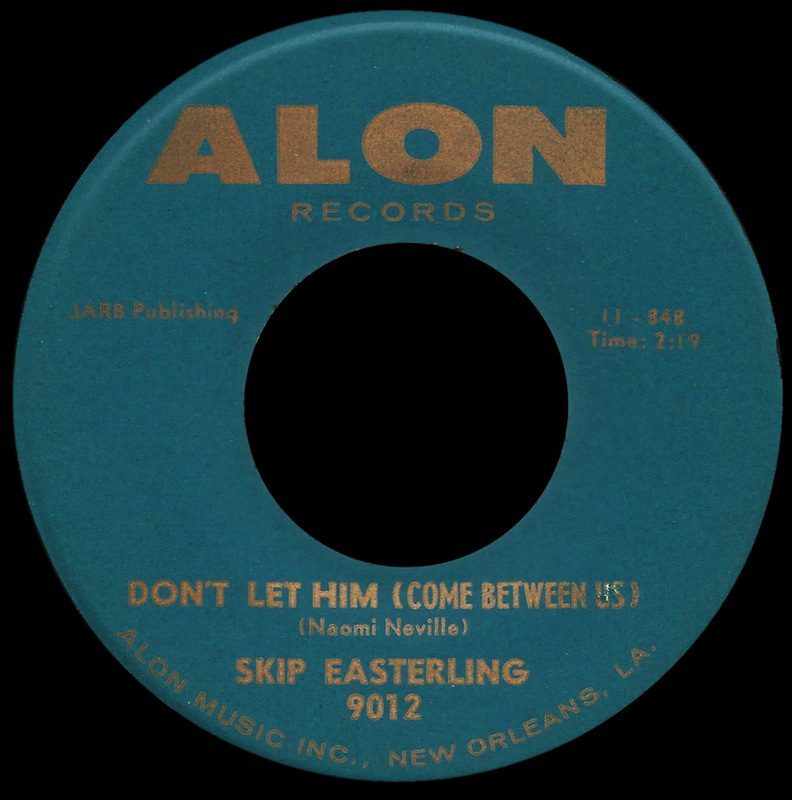 Although Easterling is remembered mostly for the records he cut later on with Eddie Bo and Huey Smith, this little known Toussaint composition (almost certainly cut while he was home on leave during his stint in the Army) provides us with a glimpse of the under-appreciated work he was doing at Cosimo Recording during that period. 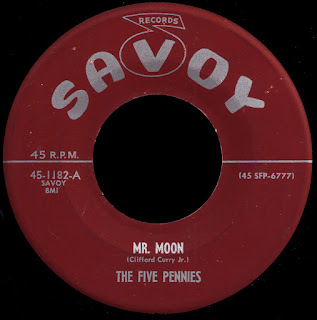 Wayne Carson, who had penned songs like The Letter and Soul Deep for The Box Tops, and Nine Pound Steel for Joe Simon (along with Dan Penn, who said they came up with about "...a pound a day. "), while at American Sound in Memphis, said he wrote his most enduring composition "in ten minutes sitting at my kitchen table". In late 1971, Chips Moman told him he had to come up with a 'bridge' for the song before he would record it on him. Staff songwriters Mark James and Johnny Christopher sat down with Wayne upstairs in Chips' office and hammered one out on an old upright piano. 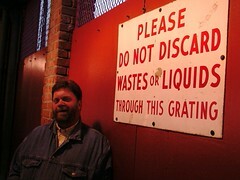 Moman approved. According to Roben Jones, he liked the results so much that he flew Carson personally to Nashville to shop the tapes to Fred Foster at Monument, who told them "I don't think the world is ready for it." He may have been right... but Chips never gave up on the song. 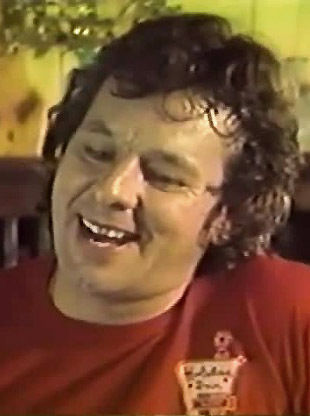 Ten years later (when he was producing Poncho and Lefty on Merle Haggard and Willie Nelson), he and Bobby Emmons offered the song to Merle who declined to cut it for the album. Willie, however, said it "bowled me over the moment I first heard it." An absolute masterpiece, Moman's towering 1982 Memphis Boys production of it on Nelson will, in my humble opinion, live on forever... Bobby Emmons left us on February 23rd, Wayne Carson on July 20th. The passing of Don Covay in February, followed by Ben E. King in April, brought the entire Soul Clan back together one more time (well, actually, they never really were together when they cut their lone Atlantic single in 1968, recording their vocals at different times whenever their schedule permitted). 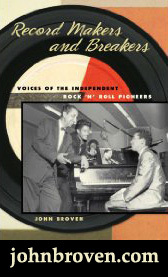 Don Covay was the prime mover and shaker behind the whole super-group idea and, as we've seen in the past, wanted King in the Clan from day one. 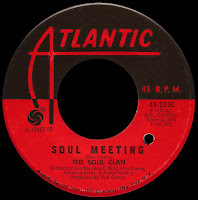 After recruiting Bobby Womack to play guitar, he produced this funky artifact of Soul from a time and place that will never come again. Speaking of Atlantic, when Percy Sledge died in April, it really hit home. 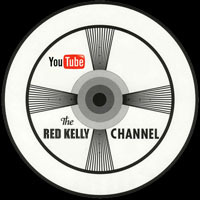 He was, to my generation, our first introduction to Southern Soul. If you are of a certain age you know what I mean... I still get all emotionally involved whenever I hear When A Man Loves A Woman, and I know I always will. This phenomenal B Side, written by Marlin Greene and Eddie Hinton (neither one of whom gets a mention in the Muscle Shoals movie), has the same effect on me. Percy had that power... "It's your love that's keeping me alive..."
Natalie Cole passed away on New Year's Eve - another to add to your list. 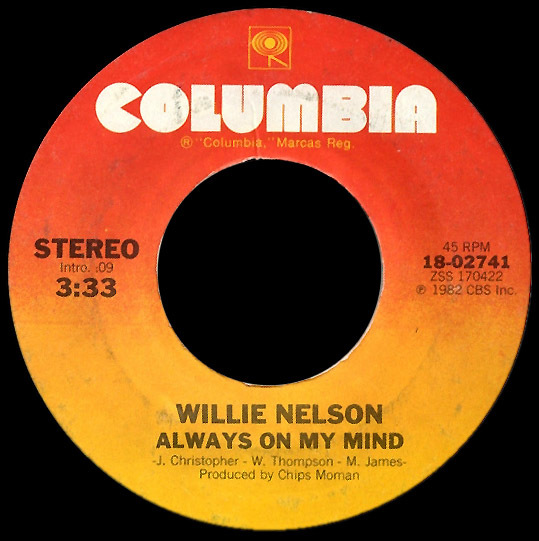 I love Willie's version of "You Were Always on My Mind" (who doesn't? ), but wouldn't it have made a great song for Percy Sledge? May They Rest In Peace! !